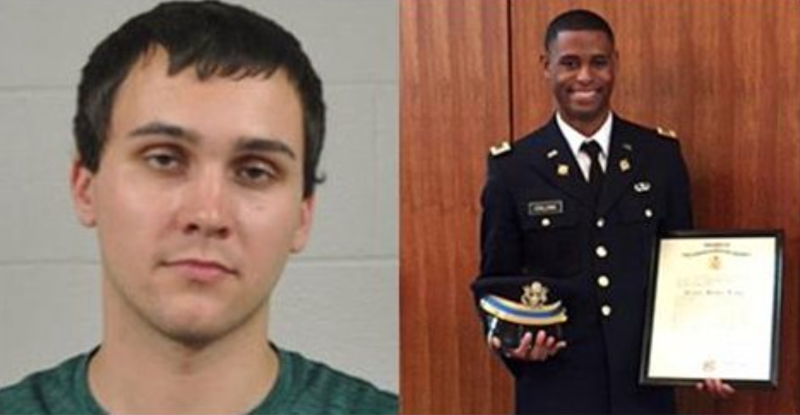 Looks like Army 2nd Lt. Richard Collins III may still get justice yet, now that a Prince George’s County, Md., grand jury decided Tuesday to hand up a hate crime charge against Sean Urbanski, a white University of Maryland student accused of fatally stabbing Collins. Urbanski, 22, is already facing a murder charge in Collins’ death. However, he had previously escaped hate crime charges because prosecutors found it difficult to build a case. Law enforcement immediately launched an investigation that included a look into Urbanski’s connections to a Facebook page called Alt Reich: Nation, which contained racist and other inflammatory material, the Washington Post notes. Investigators also delved into Urbanski’s digital devices in an attempt to discern whether Collins was targeted solely because of his race. According to the Post, Prince George’s County State’s Attorney Angela Alsobrooks said that her office intends to seek the maximum sentence of life in prison without the possibility of parole if Urbanski is convicted of murder. The hate crime charge will carry a maximum sentence of 20 years in prison. Urbanski is set to face trial beginning in January.